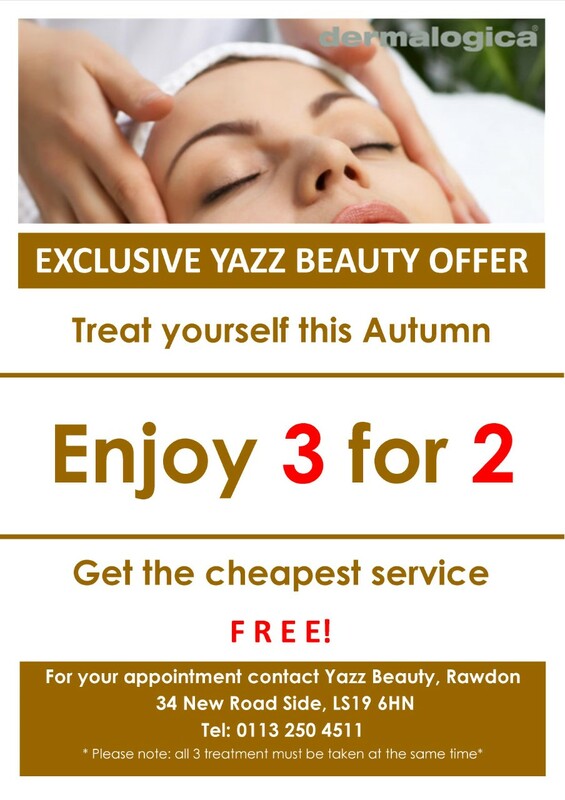 Treat yourself this Autumn with our exclusive Yazz Beauty offer. Enjoy 3 for 2 on all our beauty treatments and get the cheapest service FREE! or drop us a visit at our salon: 34 New Road Side, Rawdon, LS19 6HN.